The foundation of the customer experience is a mix of trust and availability. Organizations’ brands take a hit if either factor falters and C-suite executives are keenly aware of this. 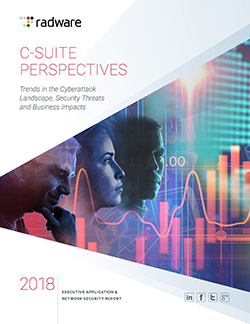 According to Radware’s newly published report, C-Suite Perspectives: Trends in the Cyberattack Landscape, Security Threats and Business Impacts, executives ranked the top three impacts of a successful cyberattack/data breach on their business. That damage also extends directly into the organization’s P&L statement. Over 40% of respondents estimated the cost of a single cyberattack to be greater than $1 million USD/EUR. Moreover, today’s consumers don’t just expect organizations to keep their data secure, they’re willing to retaliate when it’s compromised. Our research shows that 41% of executives report that customers took legal action against their company following a data breach. What’s An Executive To Do? The key is creating a secure climate for customers by embracing technology and change. Corporations’ networks are the lynchpin of interactions with customers who expect responsive apps, fast performance, and above all, protection of their data. To create this climate, our research shows executives must be willing to accept new technologies, be open-minded to new ideologies and embrace change. First is balancing the investment versus risk equation. Any executive will face tough choices when deciding where to invest resources to propel their company forward. As the threat of cyberattacks becomes a question of when, not if, C-suite executives must leverage the aforementioned data points and carefully evaluate the risks associated with security vulnerabilities and the costs of implementing effective security solutions. As identified in the same report, 4 in 10 respondents identify increasing infrastructure complexity, digital transformation plans, and integration of artificial intelligence as putting pressure on security planning and budget allocation. Moreover, migrating to the cloud increases security risks, as security gaps between heterogeneous systems represent the gaps that cyber assailants look to exploit. Executives understand that dispersing their networks across multiple public and private clouds introduces security risks. More than 90% of respondents reported using multiple public and private cloud environments, with the vast majority indicating they’re concerned about the security vulnerabilities that a heterogeneous infrastructure introduces. As demand for security professionals outpaces supply and attackers become increasingly sophisticated, C-suite leaders must embrace the integration of new technologies and talent. Our research clearly shows that executives know their organizations are vulnerable, but are ready to embrace automation and outside expertise to safeguard their corporate and customer data, and thus, the customer experience. Executives must not be anxious about relying on ex-hackers, ISPs or their organization’s DDoS mitigation vendor as vital sources of knowledge and thought leadership to stay abreast of today’s threat landscape and mitigation best practices. For example, over half of executives now prefer to rely on their ISP/CSP to manage security, a 20 percent increase since 2017. The stakes are high. 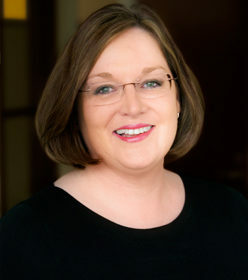 Security threats can seriously impact a company’s brand reputation, resulting in customer loss, reduced operational productivity and lawsuits. C-suite executives recognize the multiple pressures on their organizations to integrate new network technologies, transform their businesses and to defend against cyberattacks. Those executives that are willing to embrace technology and change and prioritize cybersecurity will be the ones to win the trust and loyalty of the 21st century consumer.